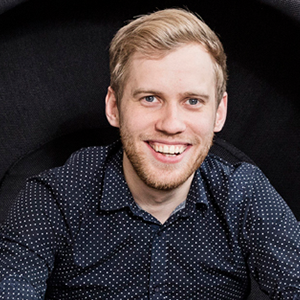 Kajan is the CEO of crowdfunding service Joukon Voima, which focuses on funding sustainable projects. His mission is to provide people with inspiring and profitable ways to do sustainable deeds and to make them realize their impact. He argues that we have failed in exploiting the potential of individuals in fighting against climate issues. This far the battle is led by authorities and politics, while individuals are left without significant chances to make an impact. With his company Joukon Voima, Jukka wants to be part in building a bottom-up movement to shake, challenge and eventually support the top-down models. His background in marketing and consumer behaviour (MSc, Aalto University School of Business) shows in his approach to crowdfunding. He believes that the key to untap the great potential between investments of ordinary people and sustainable projects lies in the mechanics of communication and marketing rather than in financial models themselves. Prior to founding Joukon Voima in 2014 Jukka was working for Sitra and helped in launching the association of renewable energy in Finland. He continued to work as the communication and member coordinator for the association. As a CEO and devoted advocate of sustainability, Kajan regards himself as a business hippie.